Educreations is great FREE app that turns your iPad into a recordable whiteboard. The app was just updated a few days ago – November 22, 2013. It is simple to use and permits you to build lessons with multiple pages or slides. The editing tools in Educreations allow you to resize and move images as well as create “animated playback” by dragging objects as you record. Another bonus of this app is that free accounts are available at http://www.educreations.com. There users can share their work as well as look at lessons created by others. This app is being used at all levels of education including the college level. 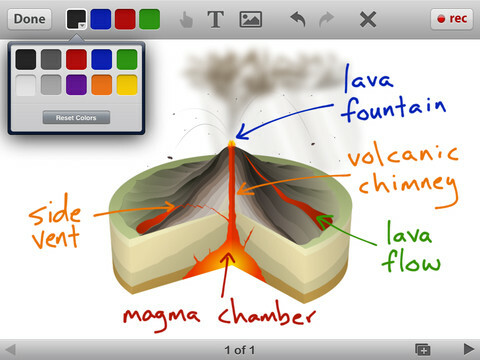 The features of Educreations make it a standout among the recordable whiteboard apps! What a fabulous educational app! !